In partnership with the Dressing Well Charitable Foundation, the Council ‘s newest program is The Karma of Clothing Project. This initiative leverages the Council’s well established retail thrift store by opening its already generous and welcoming doors to a new group of people in need who have been referred into this special program by a social services agency. 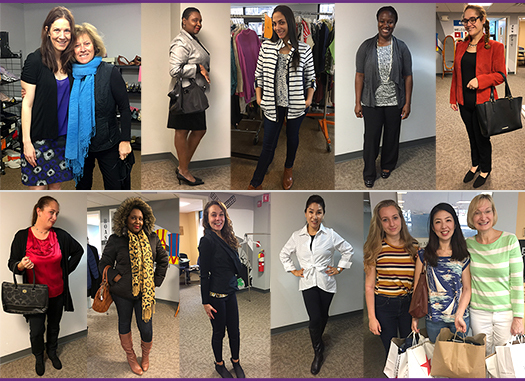 Participants are then paired with volunteer personal stylists trained by the program to help select gently used, high quality clothing and accessories suitable for their lifestyle, profession and interviewing. Participants are also given a gift certificate made possible by The Dressing Well Charitable Foundation to purchase what they need in the Council Thrift Shop. Long considered one of Needham’s best destinations for affordable shopping, The Council Thrift Store is also a significant source of revenue for Council programs, including its food pantry, ESL tutoring services, medical equipment loans, transportation assistance, CAP Program and general outreach to people in need throughout our home town of Needham.